Top notch and excellent value. Extremely comfortable and excellent quality. Perfect match for enhancing natural sounds and blocking out harmful sounds. 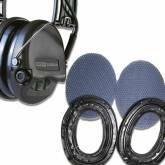 The fit is great with standard ear cups but highly recommend the gel pads either as a combo or an add-on or upgrade to your existing Electronic ears. The gel pads allow them to fit extremely well especially when wearing safety glasses, prescription glasses or any eye protection. 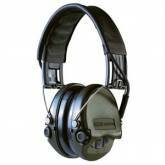 I have 3 sets of ear protection and this is always my primary and first choice for fit, comfort, and quality. Regret not spending the money upfront for these. Would have saved me money on the lesser expensive sets I've bought to try out. Your hearing is too important and not a feature to go cheap on.